After being hired as the afternoon teacher during Lee Hill’s first year as a school, I had the pleasure to get to know the children and families of the program. At the end of the first year of being open, the director position opened up – being qualified, I decided to apply for this position. After interviewing, I was pleased to be offered the position as the School Director. I have been lucky enough that this opportunity also allows me to continue to teach part time, which I hold dear to my heart. I enjoy sharing my ambition to learn and grow as a member of the Lee Hill Community. For those potential new families that I have not had the pleasure of meeting yet, I would like to give you a bit of background information. 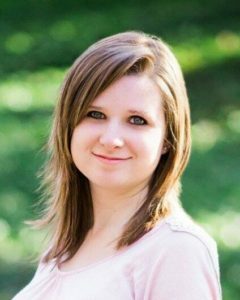 I hold an Associate’s degree in Early Childhood Education, as well as a double major Bachelor’s Degree in Human Development, and Psychology, with a minor in Children’s Health. 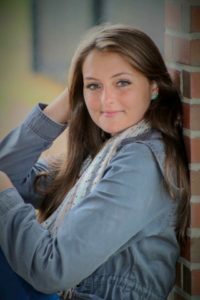 I have enjoyed being an early childhood educator for the past 10 years, and bring with me a passion for education, and helping children reach their full potential. I am certified in CPR & First Aid, and continuously further my educational training in order to offer the safest and most up to date care. I believe in providing effective methods of nurturing positive growth and development, and enjoy finding creative ways in which we can learn. My husband and I moved to the area in early 2014, after falling in love with the house and the area. We are so grateful to be a part of such a wonderful community, and look forward to raising our daughter, two pups, and kitty here! I appreciate you taking the time to “get to know me” and I look forward to building a trusting and caring relationship with you and your child. Please do not hesitate to contact me with any questions and concerns! After I graduated with a bachelor’s degree from Keene State College in 2011, I became director of the after school program at Nottingham Elementary. I loved it! All the crafts, games, and learning through play. I started to look into teaching preschool in the mornings while still directing in the afternoon. I fell in love with the second school I interviewed at, starting with covering a maternity leave. I was a little nervous at first – I went to college to teach K-8 after all. I loved it so much, that I stayed the entire school year, co-teaching the preschool room. The next school year, I was offered my own preschool class! What a huge opportunity to make the curriculum my own! I incorporated my love for nature, art, math, reading, and music. I am excited this year to have another amazing teacher joining me in the preschool room. She was a wonderful teacher to my son in the toddler room before she moved up to preschool. 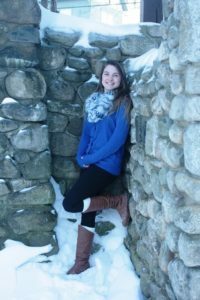 I grew up in Pittsfield, New Hampshire and graduated from Pittsfield Middle High School in 2015. I have completed over forty credits in the Education field. While I am working here, I will be taking online classes through Granite State College to finish my bachelor’s degree in Early Childhood Education with a certificate in Early Childhood Special Education. 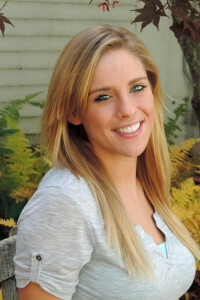 I have previous experience in a preschool classroom and summer program for kids in kindergarten through sixth grade. I have lived in the same town my entire life besides attending college in South Carolina for a few semesters. I have recently moved into an apartment with my boyfriend and our dogs but we are still located in my home town. 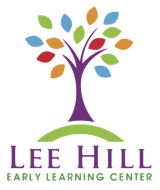 I am very excited to branch out and become part of a new community here at Lee Hill Early Learning Center. When I began searching for a job, I had no idea I was going to get this lucky. The first day I came in, I loved the setting and opportunities it offered, especially being a nature based school. I am so excited to use my knowledge of developmentally appropriate practice to help these young children grow. I will incorporate creative ways to engage the children in their own learning! I grew up in Pittsfield NH and graduated from high school last year. My junior and senior year of high school I attended Concord Regional Technical Center for Teacher Preparation, where I learned about many different things from behavior management to special education. During the duration of this program, I worked one-on-one with preschools, and took part in two 6 week internships in one of my local kindergartens. When I wasn’t in school, I was either playing soccer and basketball, or hanging out with friends. During the summer I typically lifeguard and teach swim lessons to children of all ages. This school year I am looking forward to taking the knowledge I gained throughout my courses, and use it to build a strong foundation for my students. I am beyond excited to start my journey at Lee Hill, in order to collaborate and create relationships with peers and students that I will remember forever.